As a songwriter, singer, dancer, percussionist, and harmonica player for the Babylon Warriors, and as a leader of her own dance group (Garifuna dancers) prior to joining the Warriors in 1991. Dana excited audience wherever she entertained. 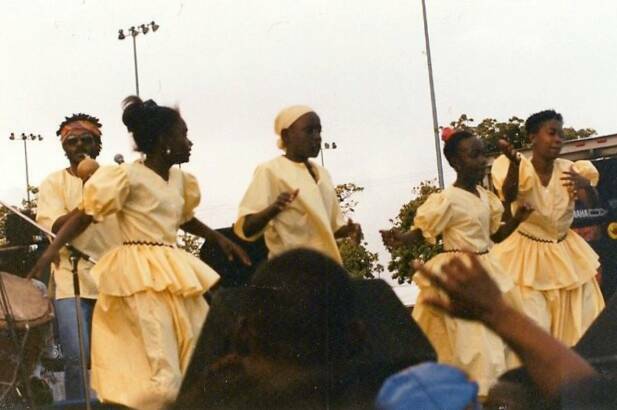 Dana's contributions, particularly to Belizean's in Southern California area, will always be remembered because as an advocate for the preservation of the culture, Dana promoted not only the Garifuna Culture, but that of Belizean musicians and dancers. 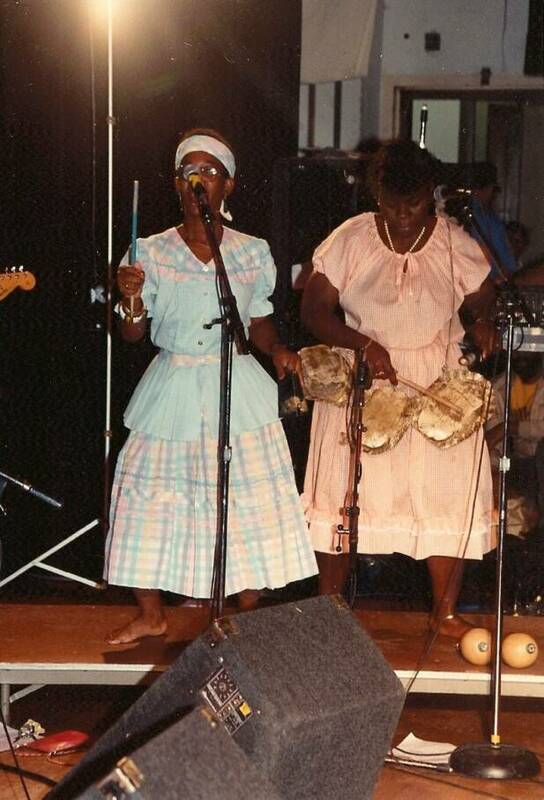 Dana had strong interest in developing the talents of young Belizean cultural entertainers. Her passing in Dangriga on March 23rd.1993 at edge 35, truly created a void as those who loved the style of entertainment she brought to the stage continue to speak of her loss. 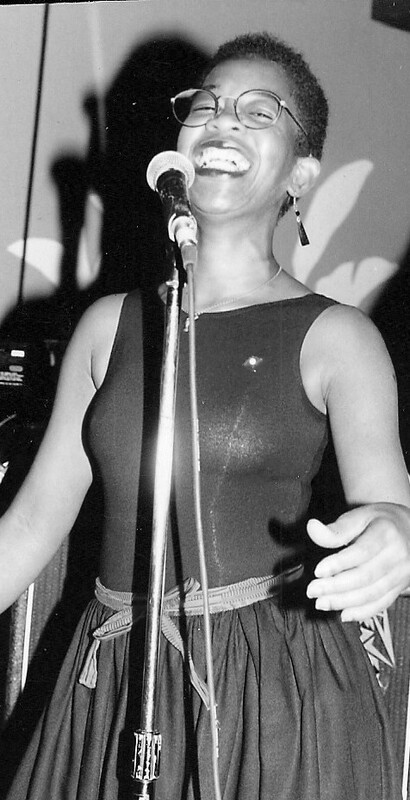 "Dana, Always and Forever" consists of a medley of her performances and contribution in the recordings of Punta Rock music with the Babylon Warriors, Andy Palacio, and Pupa Curly. "If I had Known better, I would have assumed she was Eartha Kitt. because of her dance style, her singing, her sharing, and her readiness to act on social issues"
The Children are still Dancing, Your Harmonica, plays on and on. The voice you gave, will last forever. Some day in heaven, we'll be together. 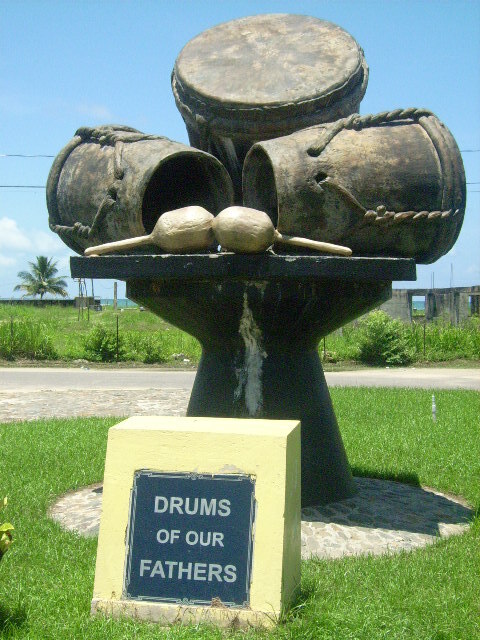 Dana, you left an indelible mark on Ponta Rock, by adding motion and color to the sound. Many have been called, but a few have been chosen. Dana you'll shine forever. To you D. my sister, yes it's from G. You're my loving motivator. 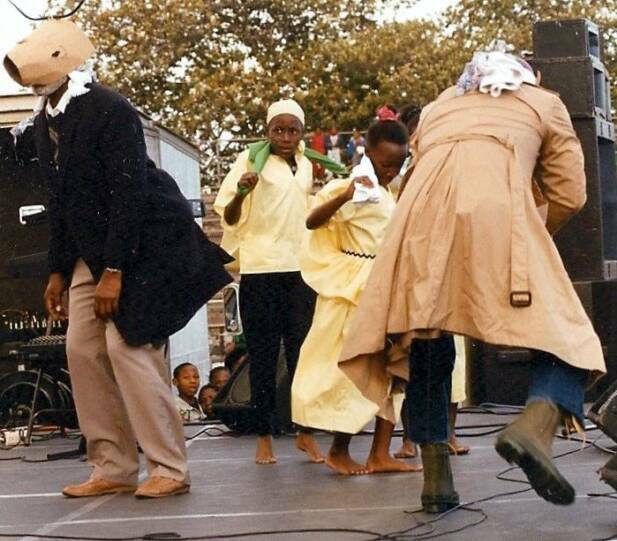 Dana, your contribution to the Garifuna cause, will live forever. We love you. A true friend, dedicated by members and supporters of Caribbean Market. Perhaps her most outstanding performance took place in 1985 when Dana, along with her dance group performed before a packed ballroom at the Americana Hotel in Culver City on the occasion of a visit by the then Prime Minister, the Honorable Manuel Esquivel and his delegation. Dana became a household name and was frequently booked to perform by private and civic group. With the advent of Punta Rock music "Dancing Dana" as she was known in most circles, perfected the dance to the point that one had to stop and admire how she had total control of her hips and the ability to bend her body in practically any form she desired. But not only was Dana a good dancer, she was a good teacher. She readily volunteered to instruct others. She was proud of her Garifuna heritage. She operated so freely within the community. When Belize leading Reggae Band in Los Angeles, Babylon Warriors made the transition from Reggae to Punta, Dana was in part responsible for the bringing together of the four Garifuna members who formed part of the band in October of 1991. 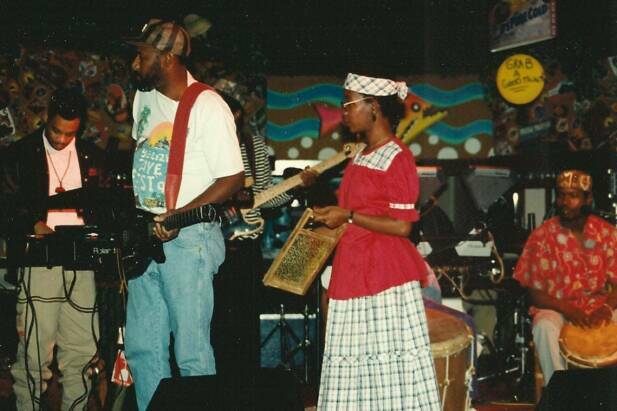 Band leader, Patrick Barrow spoke of Dana as the woman who made the marriage between Creole and Garifuna musicians work. Her strong voice can be heard on the the Warriors 1992 album title: Punta Rockers on "LAMADINA - I'M HUNGRY" and "JOHN CONOE - WANARAGUA" also cuts on the 1993 album title: "Come Home To Punta". where she played the Harmonica on "TWO FOOT COW"
Dana can be seen in many of Babylon Warriors live Punta concerts performances and also in the music video "Lamadina"
Dana and the Garifuna Dancers are also featured with Andy Palacio music video on "WATU di video"
Then in 1992 tragedy struck. Dana's health began failing her and in 1993, she returned to Dangriga, her place of birth. The entire Belizean Community was saddened when on the morning of March 25th on the Belize Caribbean Pulse Radio program on KPFK in Los Angeles, Pam Reyes / program host, announced the passing of Dana on March 23rd 1993. 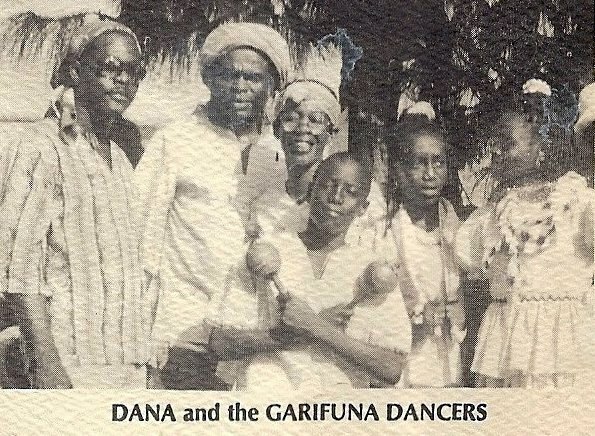 Dana will always be remembered not only as a Garifuna sister who loved her cultured, but also as a Belizean who loved everyone who love their culture. For those of us in Los Angeles, she will always be the "missing link". "Go on home Sister, go on home and dance for those of us who can no longer dance, but can only sit in the house by the side of the road and watch good dancers dance".